1995 – Ph.D. Indiana University. School of Library and Information Science. Outside Minor: International and Comparative Education. 1989 – MLIS. University of Hawaii, School of Library and Information Studies. 1975 – MA. University of Northern Colorado, Greely. College of Education. 1971 – BS. University Colorado, Boulder. College of Education. 2008 – Library Journal LIS Educator of the Year Award, $5000. 2004 – Sarah K. Vann Professional Service Award, University of Hawaii ALA Student Chapter. 2002 – Visiting Fellow, Institute for Advanced Study of the Humanities, Edinburgh University. 2001 – University of Hawaii Presidential Citation for Meritorious Teaching. 1992-1995 – HEA Fellowship, Indiana University School of Library and Information Science. 2010 – London Resident Director, University of Hawaii Study Abroad Program. 2007 – Full Professor, University of Hawaii, Library and Information Science Program, Department of Information and Computer Sciences. 2007 – London Resident Director, University of Hawaii Study Abroad Program. 2004-2006 – Chair, Library and Information Science Program, University of Hawaii. 2002 – Visiting Fellow, Institute for Advanced Study of the Humanities, Edinburgh University (March-June). 1998-2001 – Chair, Communications and Information Sciences Doctoral Program, University of Hawaii. 2000-2007 – Associate Professor, University of Hawaii, Library and Information Science Program, Department of Information and Computer Sciences. 1995-2000 – Assistant Professor, University of Hawaii, Library and Information Science Program, Department of Information and Computer Sciences. Member – Inter-departmental sub-committee of the Vice-President’s Task Force for the Reorganization of the School of Library and Information Studies (SLIS) which structured a merger between SLIS and the Information and Computer Sciences Department in 1995. Member – University of Hawaii Manoa Faculty Senate (term 2006-2007); Committee on Policy and Planning. The way Rebecca Knuth plans a class she’s teaching illustrates why she was nominated by her students and won the LJ Teaching Award for 2009. The award, which comes with a $5000 honorarium and a celebration at the American Library Association (ALA) Midwinter Meeting, is sponsored by ProQuest. For Knuth, a tenured professor in the Library and Information Science Program at the University of Hawai’i, Manoa (UHM), building a course and its syllabus is a lot like writing a book. Knuth applies these ideas to the six courses she teaches plus the Library Internship Program and her Independent Studies, both of which add many students to her oversight. About 40 have enlisted for independent studies with Knuth, professional and scholarly projects ranging from developing a strategic plan for the National Library of Georgia to a study of the representation of indigenous materials in museums and archives. LIS student Karen Brown, who nominated Knuth for the honor, was deeply impressed with the way Knuth exercised the idea of educator as learner and by her student-centered thinking. Brown also gave kudos to Knuth for the way she uses her research on dozens of peer-reviewed articles and two published books (a third is nearly complete) to add new insights to her teaching, making the content more compelling. “Not only is the subject matter fascinating and relevant, but Dr. Knuth seems to enjoy her time with us in each and every class,” says Brown. 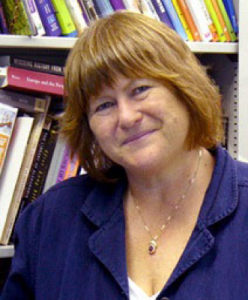 Describing her classroom style, Knuth says she tries to indicate that she is driven by questions and concerns and that she reads widely in the field. “I want to show students that I learn all the time along with them and that I’m actively engaged in trying to get meaning out of the material and life in general,” Knuth says. The key point of Knuth’s method is to have students understand and believe that what they’re doing and what the program is teaching is important. This applies directly to her subject. “I try to build excitement about librarianship and learning in general. I think many students are interested in ethics, social responsibility, the profession, the broader social climate, and in standing for something,” Knuth asserts. Knuth has built more than one course in the LIS program, part of UH’s Department of Information and Computer Science. Her method is a lesson in teaching from someone who has taught graduate students and undergraduates for more than a decade at Hawai’i and prior to that spent more than 15 years instructing children with learning disabilities. She earned an MA in Special Education in 1975 and later switched to LIS after experience in school libraries. She earned her MLIS at Hawai’i in 1990. For three years, Knuth served as a school librarian with the U.S. Department of Defense in Italy and Germany. This led to her dissertation at Indiana University, where she finished her Ph.D. in 1995; she studied different models of school libraries. Knuth joined the UH faculty as assistant professor in 1996, moving away from school libraries because Hawai’i had a faculty member in that field. From 1996 to 1999, Knuth was chair of the Communications and Information Science Interdisciplinary Doctoral Program, composed of units from the LIS program and the departments of Information and Computer Sciences, Communications, and Decision Sciences. 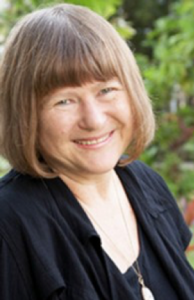 She chaired the LIS program for two years beginning in 2004 and achieved the tenured rank of full professor in 2008. The range of Knuth’s teaching and scholarship is impressive. She created the Hawai’i course in intellectual freedom, one of the most popular electives there. She also teaches courses in Traditional Literature and Oral Narration, International Librarianship, and Information Policy. She has taught the History of Books and Libraries, Books and Media for Children, Books and Media for Young Adults, Classics of Children’s Literature, and Services in Libraries both in the classroom and on Hawai’i’s unique interactive television system, which carries the course, live, to classrooms on several islands. Students on the campus in Manoa are on a TV hookup with students in studios on the outer islands, and all can see and interact with one another and the professor. Students in these classes can also present using PowerPoint and other devices. Fascinated with the reasons people reject books, Knuth has focused much of her research and teaching on intellectual freedom and international librarianship. Her two books—Burning Books and Leveling Libraries: Extremist Violence and Cultural Destruction (2006) and Libricide: The Regime-Sponsored Destruction of Books and Libraries in the Twentieth Century (2003), both published by Praeger—reflect the focus of Knuth’s teaching and research, as does the rest of her massive bibliography of peer-reviewed scholarly articles and more popular writings. Knuth’s intellectual freedom class begins with theory, the First Amendment, and the Universal Declaration of Human Rights but goes on to John Swan and Noel Peattie and the occasional conflict between purist views of intellectual freedom and “calibrated responses” in the name of social responsibility. “Our professional ethics profess a purist view of intellectual freedom, but in practice our view is often quite different,” Knuth says. She is concerned that, as a profession, we have moved away from international activity, except on a social level. We participate in the International Federation of Library Associations and Institutions (IFLA) and work on committees and international initiatives, but we’ve backed off from our earlier involvement in exchanges and in development projects. In 2001, Knuth received a University of Hawai’i Presidential Citation for her contributions to teaching and student learning. In 2004, she won the first Sarah K. Vann Professional Service Award created by students in the UH student chapter of ALA. The award is named after Hawai’i’s internationally known Professor Emeritus who once chaired the program. Knuth studied under Vann and has been mentored and inspired by her.